Today’s post is a little bit random. Turtles. My sisters and I used to have a pet turtle and her name was Murtle (yeah, I know, super creative). I guess since then I’ve had a love for turtles – I even got a small turtle tattoo on my back when I was 22. And, aside from swimming with dolphins, I swam with sea turtles and walked among them on the beach in Hawaii. Honestly, best thing ever. 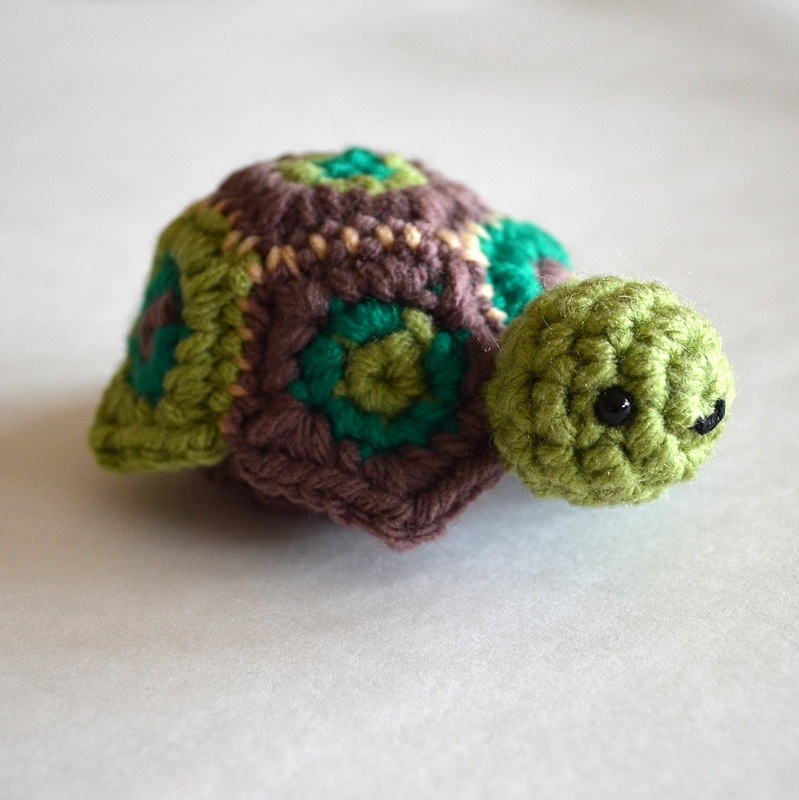 Anyway, after a friend shared this link with me I wanted to make a crochet turtle so I could make cute outfits for it because really, I don’t see myself getting another live pet turtle any time soon. 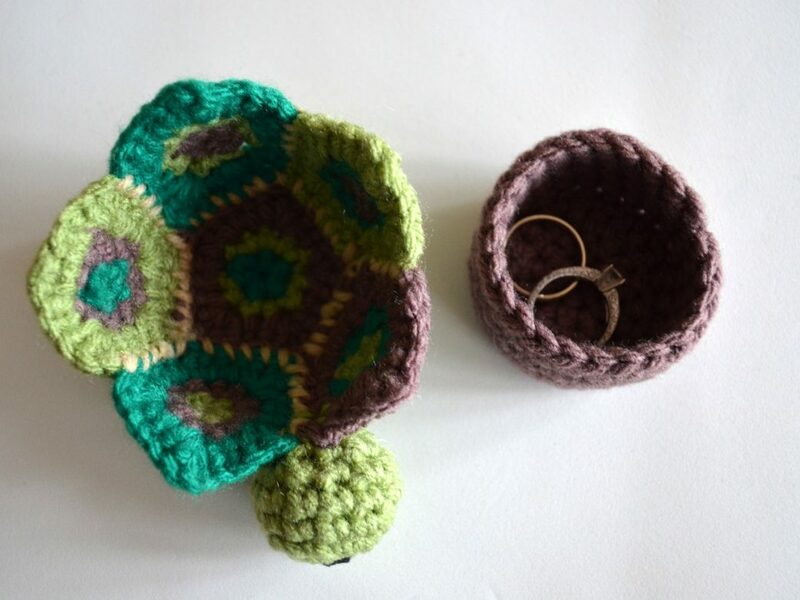 So I started crocheting and then I got creative and ended up making this Crochet Turtle Box! This would be such a cute way to give someone a very special gift hidden inside or it would just look adorable on your desk or add to your bedroom decor. I use it for my jewellery and small hair accessories. Want a special place to hide little treasures? Check out the crochet pattern below or you can purchase the inexpensive PDF version in the shop! Attach eyes and begin to stuff with fibrefill. Round 1: start 5 sc in magic ring. To change colour in this round insert hook into first st and draw new colour through into a sl st. Make a chain. If you’re not changing colours simply sl st to first st and make a chain. Hold pentagons right sides facing each other and with colour D sew together. 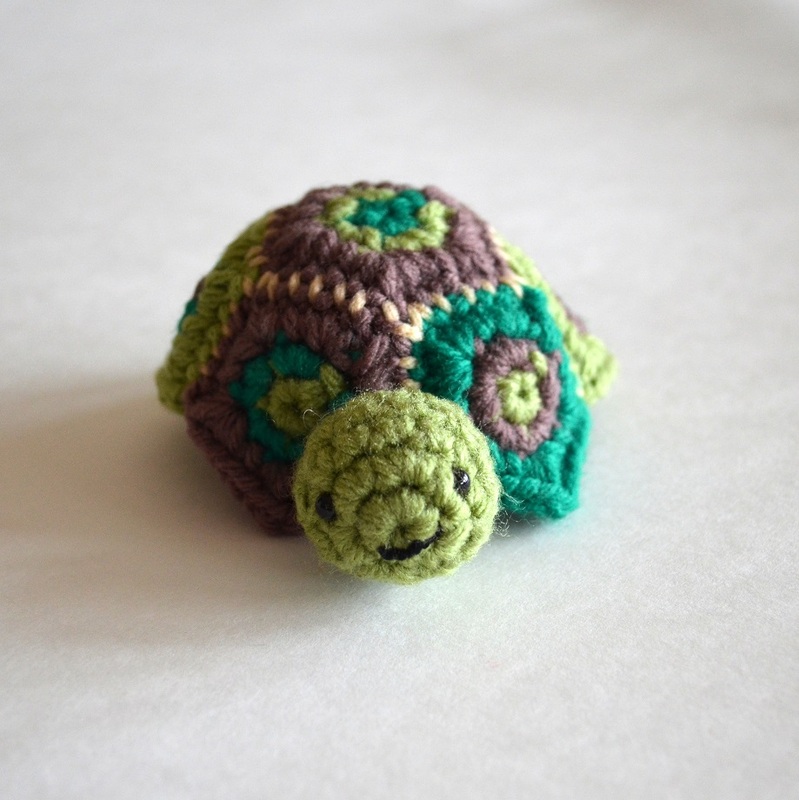 Sew the head to shell and the Secret Turtle Box is ready to use! That is so cute! I want to make like a million of them. Also I’m following you on Etsy now because CUTE! Such an adorable turtle and idea. My crochet skills are still a bit fundamental but I’m fairly sure I could make this. Thank you! This is adorable! Thanks for sharing the pattern I can’t wait to make it! That sounds cute, too! Tell me more. I couldn’t see any of them on my page or yours. Sad day! I am having a problem getting the third row of pentagon to come out to 30 st. Thanks for posting this! I have made two so my son’s girlfriend can chose which she likes. Great way to use up small bits of yarn. I had trouble with the third round and I found I needed to join all rounds with a slip stitch and chain at the beginning of the next round. Instead of changing colors I used various bits of variegated yarns for the pentagons. Thanks again!